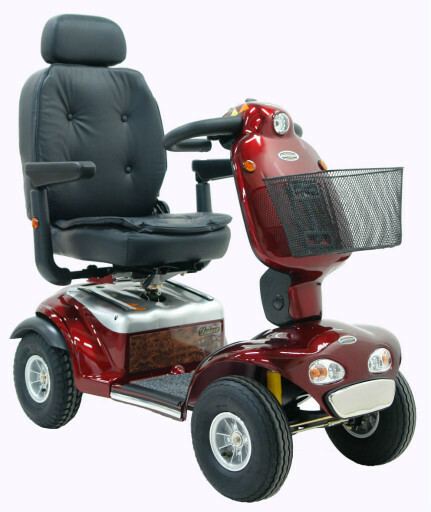 This quality 4 wheel scooter has rear adjustable suspension and a gas adjustable steering tiller. With a double pillow comfort seat and a modesty panel, comfort is not far away with this scooter. Extra on this scooter are high featuring deluxe lighting, a horn for when you need and a loop steering tiller.